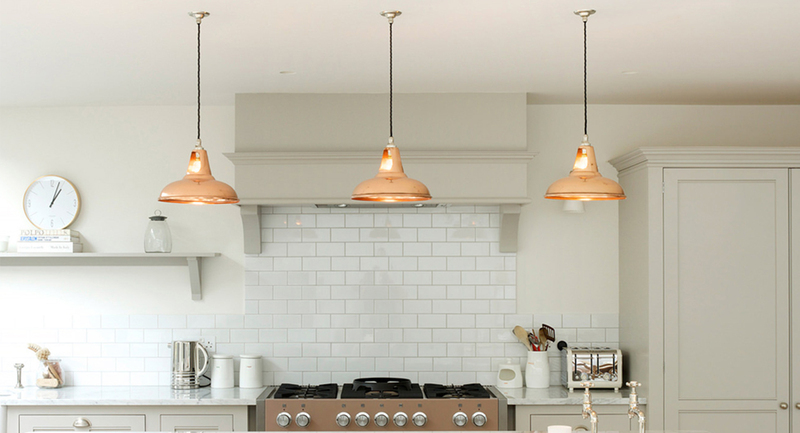 Our iconic Coolicon factory shade is presented in copper. 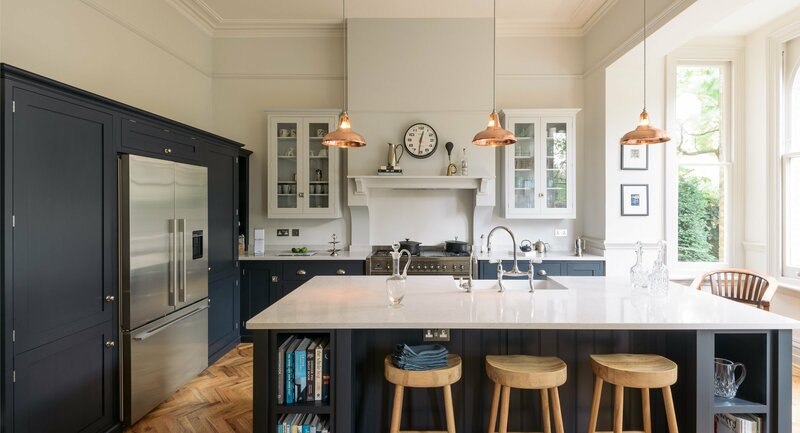 This classic finish works well with whites, blues, greys and greens, making it the perfect complement to designer kitchen colour schemes. 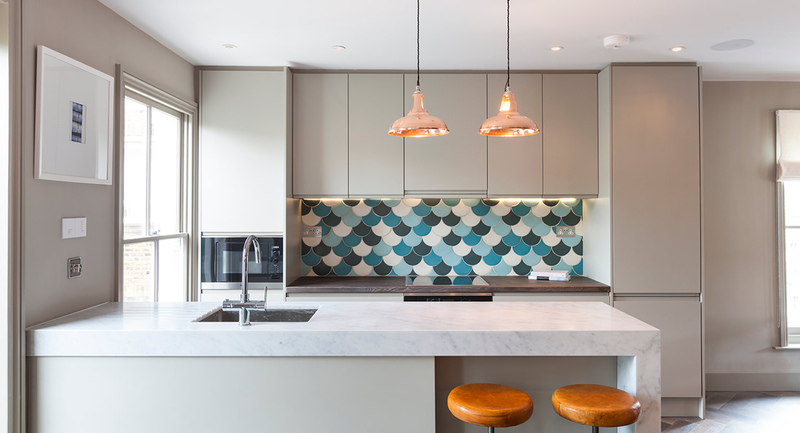 The material was traditionally used for kitchenware, often stored and displayed above workspaces. 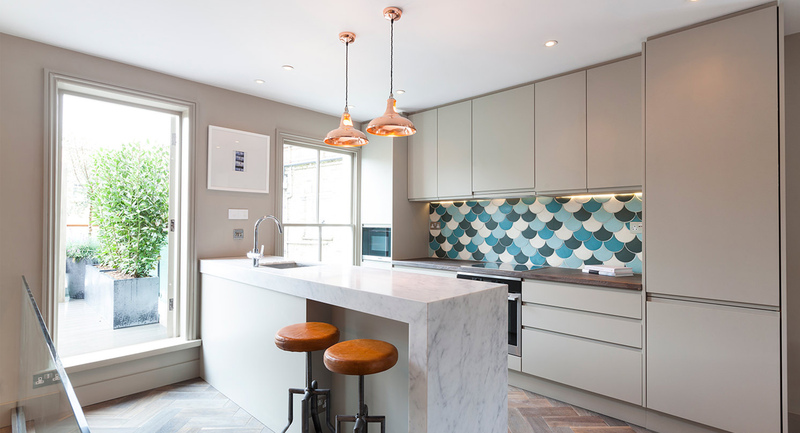 This utilitarian application and rich imagery inspired our Copper Coolicons, which can be suspended over kitchen islands for a similar effect. 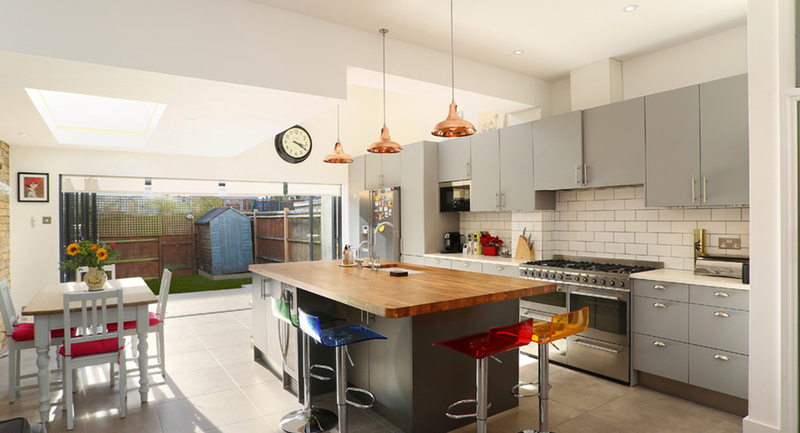 Manufactured 100% in England, this range includes three sizes of pendant and a matching wall light. 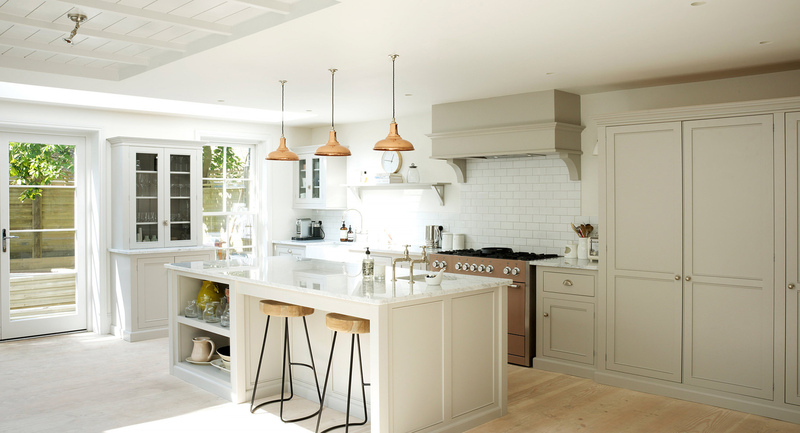 Each shade is handmade and assembled to order. 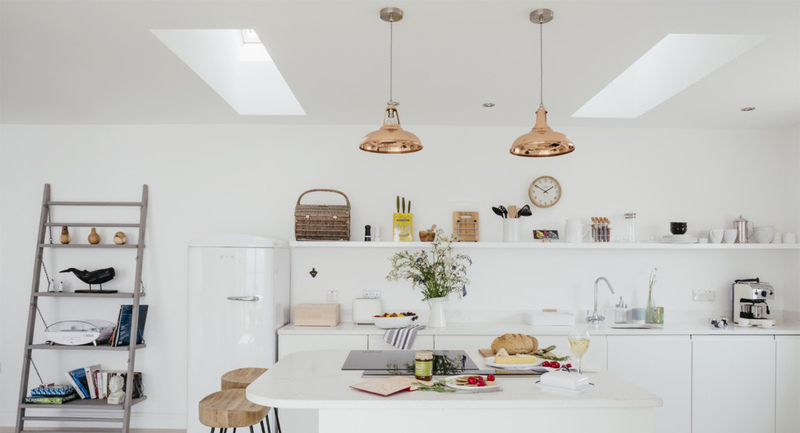 The result is a premium British made light fixture that can be personalised to suit your interior. 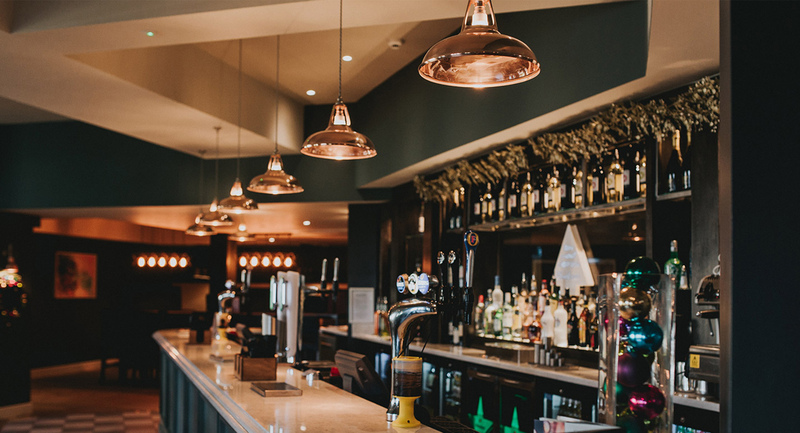 By using an anodised copper finish, we are able to guarantee a quality product that will not tarnish, making it ideal for use in humid environments such as kitchens or restaurants. 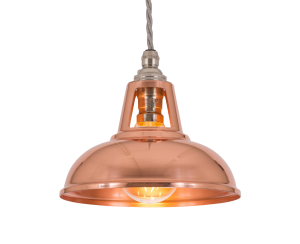 Also perfect for dining rooms and living areas, the copper finish will add a feeling of luxury to your interior. 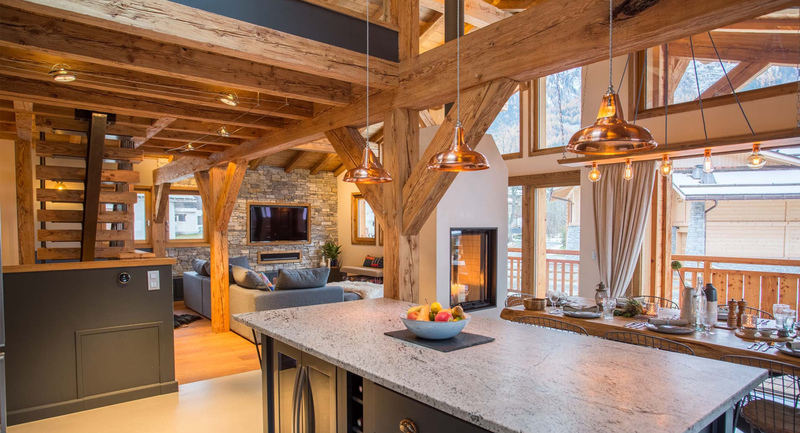 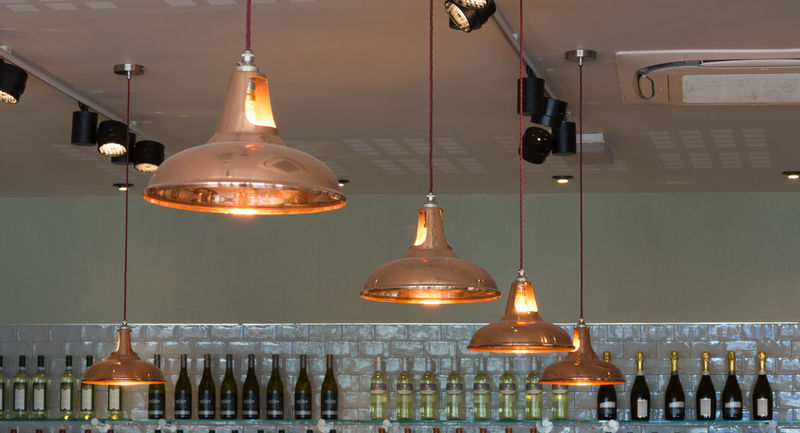 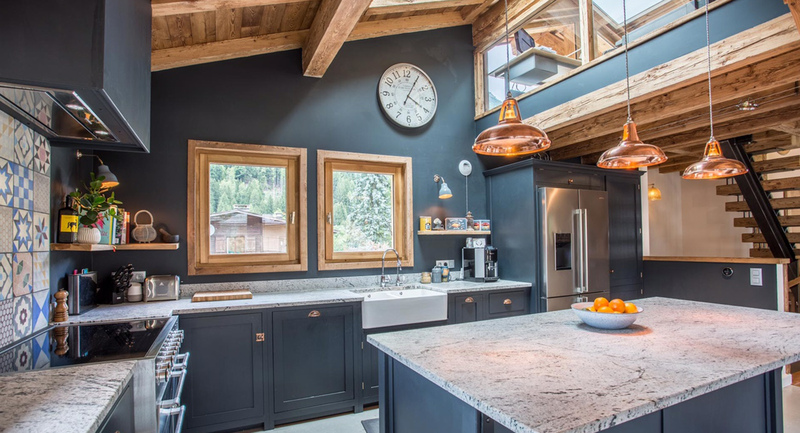 Our Copper Coolicon Pendant has been used in several eye-catching projects throughout the UK. 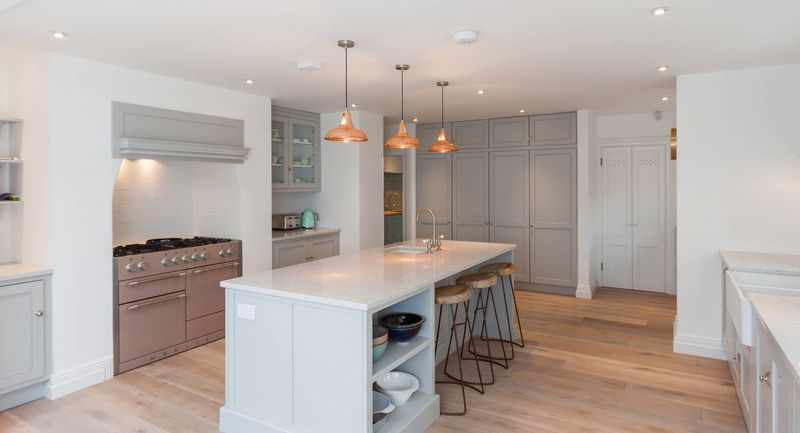 Designer kitchen company deVOL Kitchens have used them to finish off many of their bespoke kitchens. 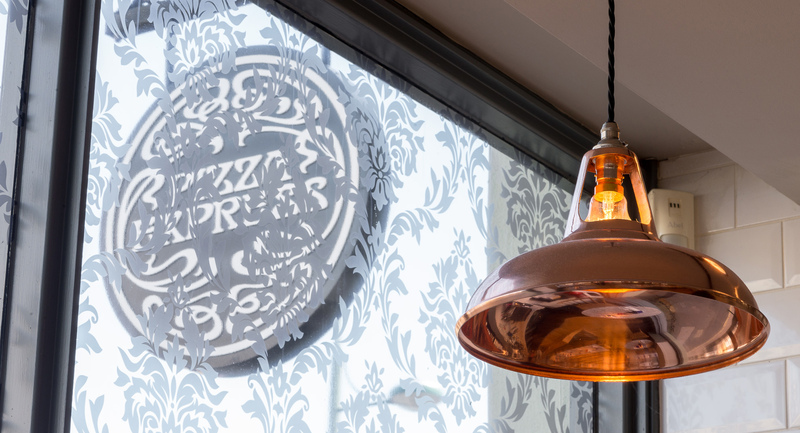 They have also been specified for several flagship Pizza Express locations.